Utilizing inovative techniques, with a distinctly personal touch, I am pleased to offer my assistance to complete your real estate transaction in the DC metropolitan area, including Montgomery County Maryland and Northern Virginia. For as long as I can remember, looking at houses has been something I have loved doing! 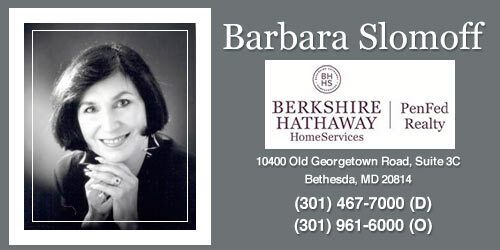 Since 1986, I have turned this obsession of mine into my real estate profession to the delight of over 1,000 clients, selling real estate throughout Montgomery County Maryland, including Bethesda, Chevy Chase, Potomac, Silver Spring, Rockville and Gaithersburg. I cover all parts of Washington, DC and in Northern Virginia, the areas of McLean, Great Falls, Fairfax County and Arlington County. Consistently, I have remained a top agent in Montgomery County Maryland and the DC Metropolitan area. I am very proud of my ability to understand what a buyer or seller needs and to agressively help my clients acheive their real estate goals. I strive to put together a real estate transaction that is both painless and joyous. Real estate is not just what I do, it is sincerely what I love! There is no greater joy to me than bringing together a buyer and seller who are thrilled with their real estate experience. 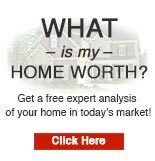 Call me at 301-467-7000 or me today and let me get started working for you. This will be the most satisfying move of your life!